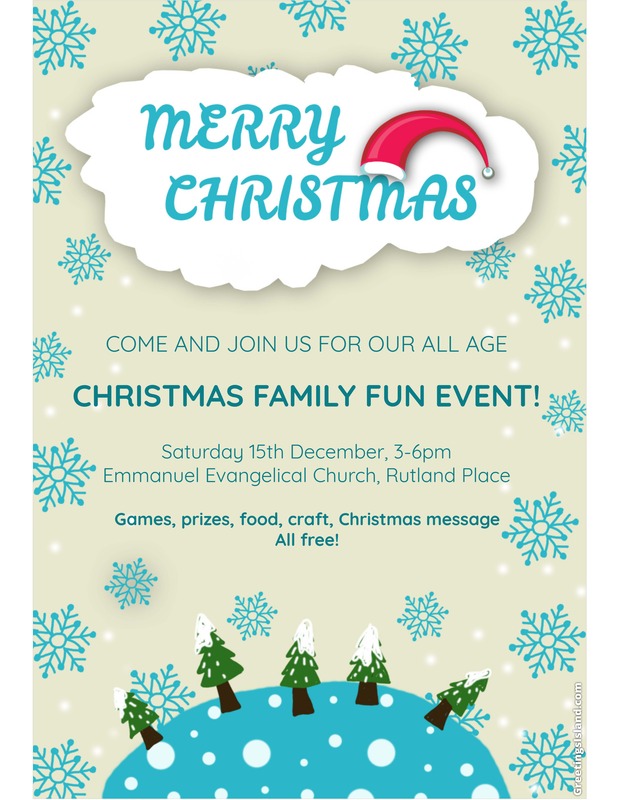 Come and join us for our annual Christmas Family Fun event. There will be fun for all ages including games, prizes, crafts, food and a short Christmas message. All of this is completely free and we hope you and your family can join us!